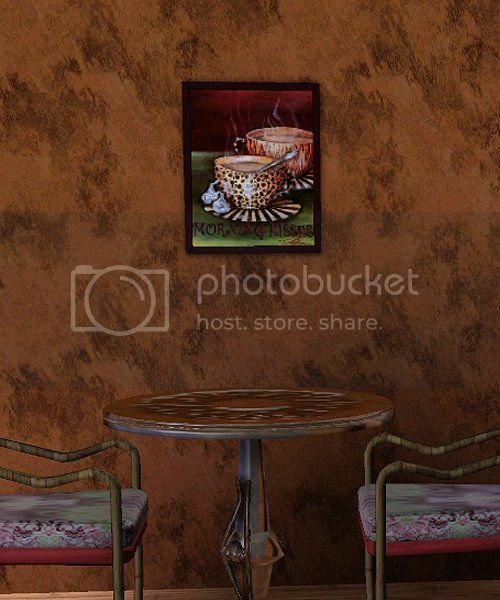 DarkThings-Sims 3: Coffee House Art ! Just a tiny update. 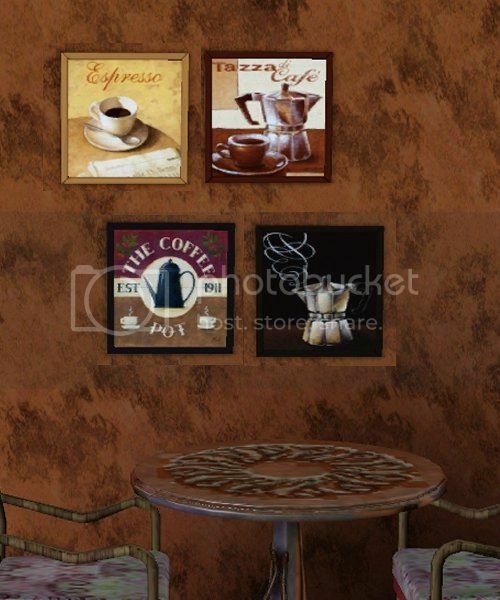 I wanted some Coffee house art for a Community lot! And not anything "Dark or Gothic" LOL. Crummy Screenshots. But you will get the Idea. There is 2 Meshes. I has 4 Images the other is more Square and has 4 images as well. also... I'm working on some old fashioned Dark Gothic Tarot Card paintings. They will be in another update some time this week. Then later Some Classic, SciFi & Horror Movie Posters. Then another project is for a Retro house. Old Vintage & Retro Food Adds.!! So come back later!!! 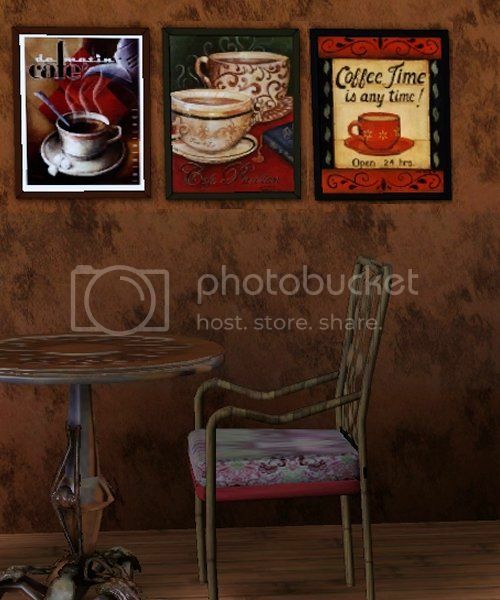 Theses are really pretty and i love how they are suited to the brown wall. Thank you.